MELBOURNE, 1 September: The Australasian Association of Ayurveda (AAA) has decided to promote the Ayurvedic medical system and medicines in Australia. In a big step the AAA will be with the support of the Indian government and others hold a two days’ conference and exhibition, 1st International Ayush 2018 Conference & Exhibition on 6 and 7 October this year at the RMIT, Bundoora Campus. 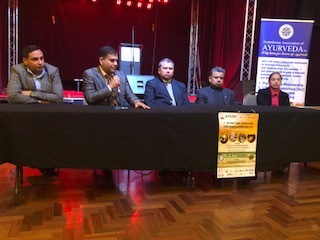 At a media interaction at the Thornbury Theatre, AAA President Dr. Santosh Yadav explained that Ayurvedic treatment is accepted as ‘appropriate treatment’ by the Australian Taxation Office (ATO) and four private health funds provide rebates for it under Naturopathy. Dr. Yadav also said AAA looks after all registered practitioners and maintains the authenticity of Ayurvedic medicine in Australia. The aim of the Australasian Association of Ayurveda is to maintain the highest possible standard of practice in Ayurvedic Medicine. It was also revealed that Australia is the only country in the Western world “where the Ayurvedic medicine is accepted by the Department of Health.” It was also disclosed Australia has about 250 Ayurvedic practitioners. 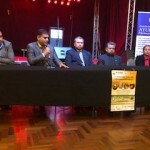 Many Ayurvedic doctors practicing in Australia were present at the media interaction who answered many questions raised. The International Ayush Australia 2018 – Conference & Exhibition will be held in Melbourne (6-7 October 2018), RMIT University, Bundoora Campus, Melbourne. The conference will be opened by Mr. Shripad Yesso Naik, India’s Minister for Ayush. Many prominent Ayurvedic doctors and Ayush Ministry officials will also be present at the conference. All information can be accessed at – www.ayurved.org.au or www.ayushaustralia.org.